Spring can be such an emotional time of year. Most days are chock-full of excitement watching everything come back to life. Around mid-March I find myself keeping an eye on the willow trees - they always get leaves first. Skunk cabbage creeps out almost overnight, and peepers start chanting to remind us summer is right around the corner. The temps outside start to rise and everyone seems to have a smile on their face and more energy to get up and go! But along with the spring transformation are those days that seem to make everything feel... well, hard. The cold, dreary, snowy, is-summer-ever-going-to-get-here days. Yesterday was one of those days. So I decided to fight back. Revolt, if you will, against the snow, sleet and wind trying to tame my excitement of seeing green leaves on willow trees and bright green skunk cabbage making its way out of the ground. I've been called odd on more than one occasion because nothing seems to make me feel more alive than getting outside and battling the elements. 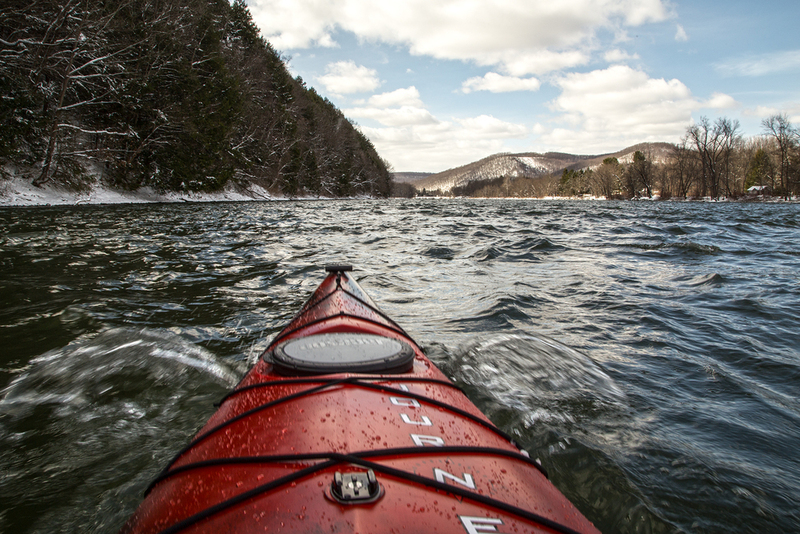 Mother Nature gave me a giant dose of it yesterday during a chilly, challenging, refreshing, windy, wonderful, oddly snow covered 10-mile paddle on the Allegheny River. 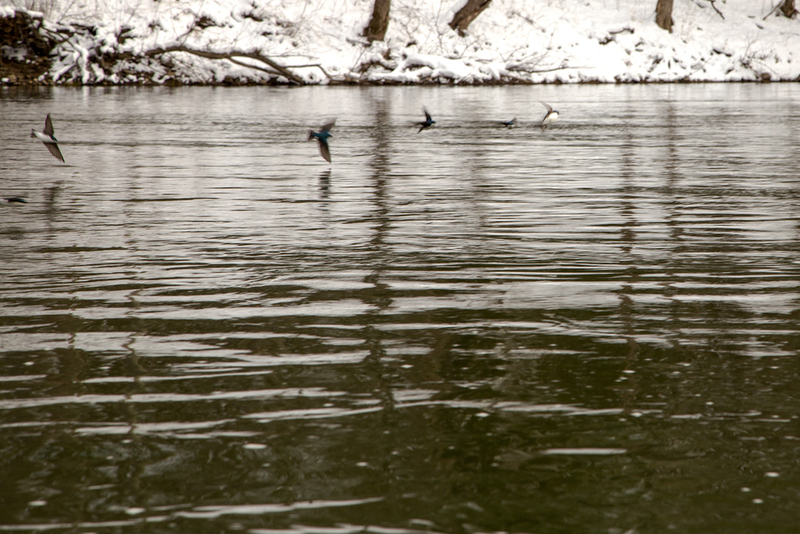 Birds seemed just as confused as I was to wake up to 6+ inches of April snow. From hundreds of Barn Swallow hovering just above the water, to Kingfisher dipping from branch to branch on the rivers edge, to Bald Eagle and Red-tailed Hawk fighting for territory above, they all put on quite a show! What an awesome, albeit tough, adventure on the water. (In a dry suit of course - safety first!) Thank you, Mother Nature, for all your beauty... even on the days when you have to embrace the elements to enjoy it. Oh, and that skunk cabbage, still as green as ever.